Features: Made in America! 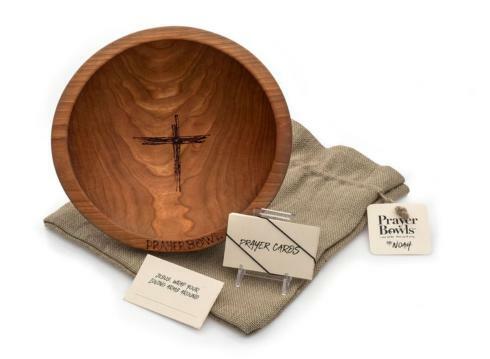 This PrayerBowl is handcrafted from a solid piece of cherry hardwood fresh from the forest. Craftsmen turn, cut, sand, smooth, steam and oil this bowl. Lastly, the cross is then etched by hand, as is the word PrayerBowl on the edge. Each bowl is unique and no two are alike. The Noah PrayerBowl comes in a rustic burlap bag with a bundle of heather beige PrayerCards.